When I was younger I lived in a small city next to the beach, in British Columbia. Each year when it got warmer, my family and I would go down to the boardwalk and eat some gelato while enjoying the weather. 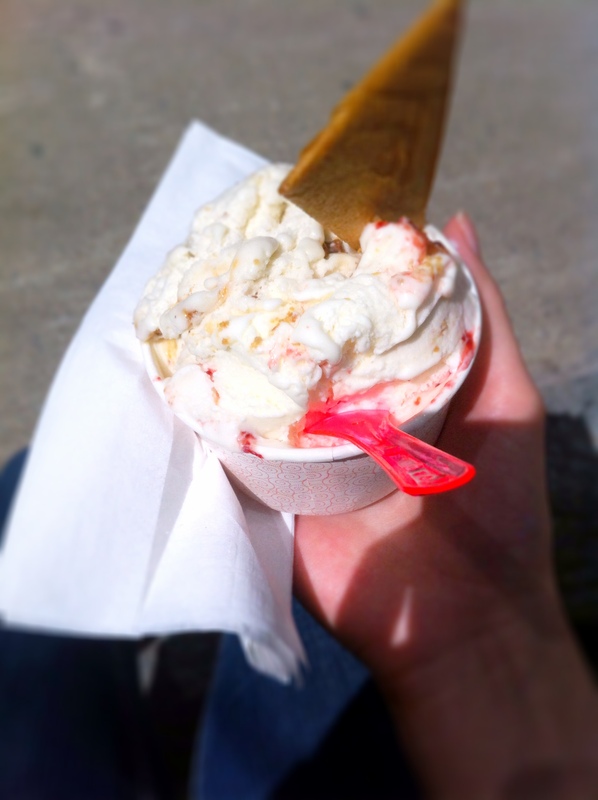 I’ve always associated gelato with this period of my life, and I hadn’t eaten any since I moved here eleven years ago. I was curious to see if Montreal gelato would be just as good as I remembered it. I don’t know how big of a thing gelato is in this city, but if it isn’t big, it should be. For me, it just doesn’t compare to ice cream or frozen yoghurt in terms of texture and flavor. 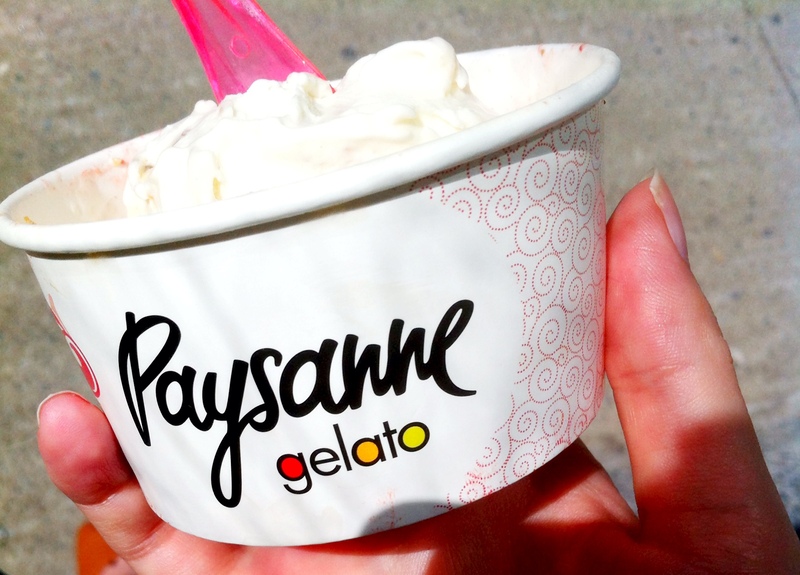 Paysanne Gelato. Photo Kim Hachey. I noticed a little gelato shop every time I went to the Eaton Centre mall, half way between Eaton Centre and Montreal Trust. On most days, there are always lots of people in line, and the gelato, even from a distance, looks delicious. Yesterday was a sunny and warm Spring day, so I decided it would be the perfect time to enjoy a frozen treat. When I got to the counter I was slightly overwhelmed by all the flavors; all looking equally amazing. I decided to settle for two flavors: banana/caramel and cheese cake with raspberry drizzle. I wanted to wait until I was outside to take the first bite but I just went ahead and starting eating while walking towards the door. I think my eyes went wide when I took my first bite, because of how amazed I was by how good it tasted. Creamy, delicious, sweet but not too much… The cheese cake flavor tasted exactly like cheese cake: I very strongly recommend it to all the cheese cake lovers out there. And same thing for the banana flavor, it is everything you would expect from a banana-flavored gelato. 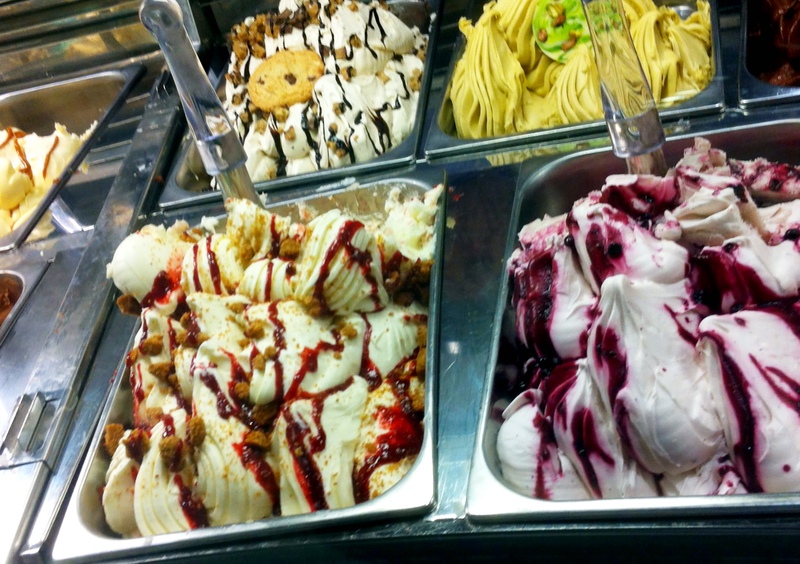 So, was this gelato as good as the one from my childhood? Definitely. The rich, creamy texture as well as the explosion of flavor made it an obvious success. I highly recommend it to anyone who loves ice cream but looking for something that’s on a whole other level! 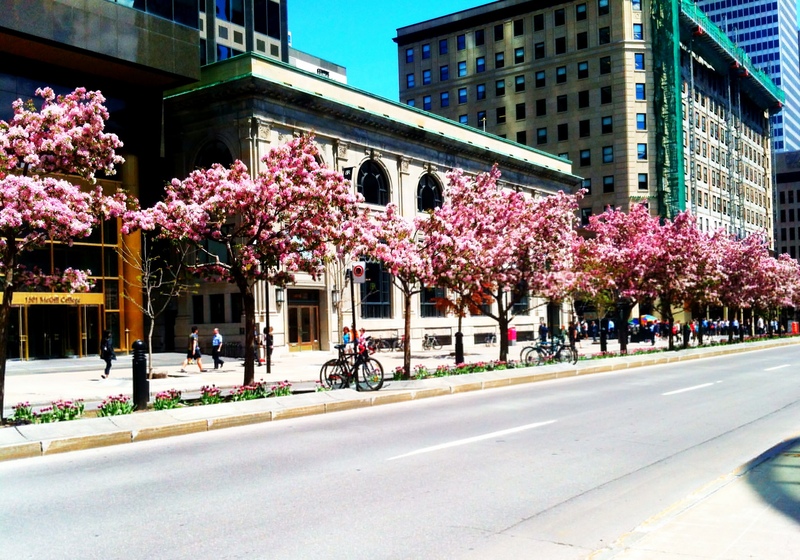 Paysanne Gelato is located at 705 Saint-Catherine West, Montreal.